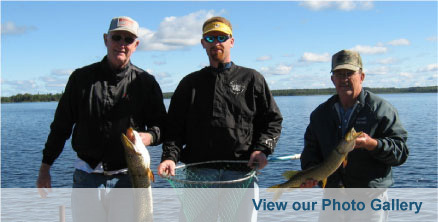 Our seasonal and year-round cottages put some of the comforts of home in reach of the Whiteshell's fabulous outdoors. Discovery the beauty of the Whiteshell region in all four seasons - read about some of the area's great attractions here! 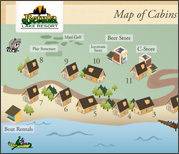 Looking for a Manitoba camping adventure-in-the-wilderness vacation, a family vacation at the lake or the perfect place to relax? You'll find all three at Betula Lake Resort! Our eleven comfortable lakefront and lake view cottages have fully-equipped kitchens, plenty of space to relax and are fully winterized. Some also have fireplaces. At our convenience store you will find groceries, camping supplies, fuel and fishing tackle, equipment, bait and licenses, miniature golf and a beer store. We also have a pizza oven and sell pizza whole or by the slice. We also rent movies and there's always fresh popcorn. In the winter months, we offer hot chocolate and cappuccino; in summer we have an ice cream stand. If you bring your boat, there is a nearby boat launch and docking space is available or you can pull up right in front of your cottage. We also have kayaks and canoes available for rent (lifejackets included). Snowmobiling, water-skiing, swimming, hiking, hunting, wind-surfing, biking, fishing, horseback riding, gold, boating, cross-country skiing, downhill skiing...these are just some of the activities you can enjoy at Betula Lake or in the Whiteshell or at nearby Falcon Lake. Children love Betula Lake Resort's playground with its swings, huge sandbox and rock climing area and our sandy beach. Older kids can play baseball, softball, badminton or volleyball, or try their hand at horseshoes. And both movies and board games are available for those rainy days. Nearby, there's miniature golf, horeseback riding and museums to explore.